Read on for our exciting choice of things to do in Playa del Carmen, in Mexico! 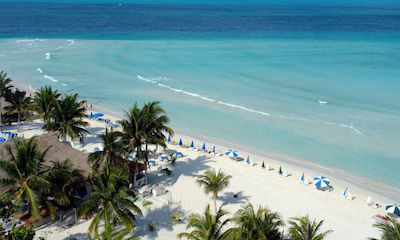 For a totally exotic holiday, Playa del Carmen, part of the Riviera Maya tourist district, is the ultimate choice. Explore massive ancient ruins and temples where human sacrifices were carried out. Swim in a surreal underwater world in a cenote. Enjoy a cooking course and learn to make genuine Mayan food before setting off to watch the world famous Cirque du Soleil Joya. Live a lifetime dream of swimming with dolphins or even sharks and then relax on a luxury catamaran cruise to a distant island. Sports lovers can snorkel and scuba dive in the Caribbean Sea, zoom on ziplines over the tropical forest and ride ATV's along rugged mountain paths. Rejuvenate your mind and body in this little paradise on Earth with the coolest Playa del Carmen attractions and points of interest! Feel like Indiana Jones discovering ancient archaeological treasures. Taking one of the archaeology tours is one of the unbelievable things to do in Playa del Carmen. Head to Tulum, the great Mayan city located along the banks of the Riveria Maya, a fabulously interesting archaeological venue due to it being a former Mayan Trade site. Accompanied by your guide, explore Tulum and be captivated by fascinating past of the Mayan Empire. Next visit the Coba Ruins, which was home to 50000 inhabitants in an area of only 80 square miles. Spot the landmarks that surround you and enjoy a refreshing swim at Cenote Cho Ha. Then, pass natural sinkholes in the limestone plateau as you head toward Chichen Itza, the early capital of the Mayan Empire and one of the most historic sites on the Yucatan Peninsula. All these tours also include fantastic things to do in Playa del Carmen such as swimming, snorkelling, zipline, time out at the beach and even sound and light shows. So, what are you waiting for? One thing to do in Playa del Carmen is to experience true Mexican culture by taking one of the many great cultural tours on offer. Join the Ek Balam and Mayan Community Interaction Day Trip Tour and explore the Maya World. Visit a Maya village where your guide will introduce you to the families that live there before you head off to Ek Balam ruins for a bit of exploration. Next, take part in a Maya ceremony with the Guardian of the Traditions. Learn how to grind corn, make tortillas and hammocks. Take part in a traditional Maya Ball Game and show off your skills to the locals. Other tours include visits to Temazcal, a cenote, perfect for swimming and the site where purification ceremonies take place. Enjoy a delicious dinner prepared especially for you by the traditional women in the village. A truly culturally-rich experience. Take the road less travelled. Climb onto an All-Terrain vehicle and explore, explore, explore! 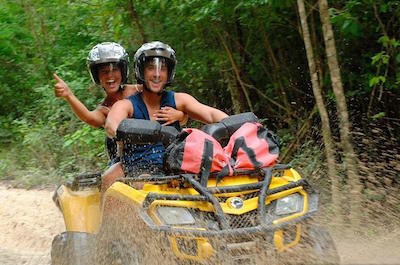 Taking an ATV or Off-Road tour is a fantastic thing to do in Playa del Carmen. With a wide choice of tours to select from complete with a range of off-road vehicles, the perfect activity awaits. Take the ATV and Cenote Tour from Playa del Carmen and set off through the jungle. Drive your ATV along the paths, climbing small hills as the cool breeze caresses your face. 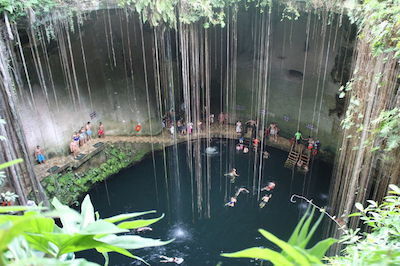 Stop at a sinkhole, known as a cenote for a quick swim before setting off through the jungle once again. For the thrill seekers out there, take the Jungle Buggy Tour. This 3 hour adventure will have you giggling with glee as you discover the dense Mayan jungle. Test out your skills on the obstacle course, if you dare! If you have some time left over, try ziplining through the jungle - one of the coolest things to do in Playa del Carmen - or a bit of snorkelling on the shore. Tours are led by experienced guides and are totally safe. Jump into the crystal clear Caribbean waters and snorkel your heart out, a fantastic thing to do in Playa del Carmen. With so many incredible reefs and snorkelling spots to discover, you will have plenty to explore for hours on end, just make sure you have enough memory space on your underwater camera. 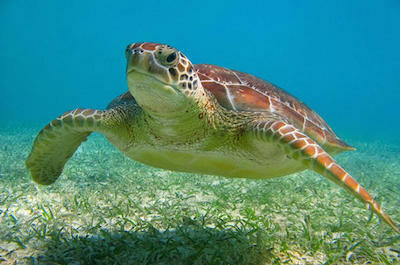 A firm favourite is the Snorkelling with Turtles in the Bay of Alumal from Cancun. Because the waters of Alumal Bay are protected, this is the perfect little piece of paradise for sea turtles to thrive. Snorkel in the bay and swim alongside the turtles in their natural habitat. Next, head to Puerto Morelos Coral Reef National Park where you will travel out to sea by boat to the most glorious snorkelling spot. Discover all sorts of marine life and the colourful reefs that they call home. Finally, experience magic in a semi-open cenote called Dos Ojos and then swim is an exotic cavern perfect for diving and snorkelling beneath incredible rock formations, which is one of the most fun things to do in Playa del Carmen. Cross swimming with dolphins off your bucket list today! If you are a huge fan of these fishy mammals, swimming and playing with them is definitely the perfect thing to do in Playa del Carmen. Spend some time getting to know the dolphins Learn just how to communicate with these intelligent creatures as well as assist in training and feeding sessions and of course a chance to swim alongside them. You will be greeted by two dolphins that will give you a finshake and an affectionate kiss on the cheek before whisking you away through the water with a dorsal tow ride. Watch them perform various tricks to show off just how intelligent they are. Don't forget your camera, this one will certainly make your friends green with envy! There are a couple of places where you can swim with dolphins if you are staying in Playa del Carmen..
Love the outdoors and nature? There is a tour for you! One great thing to do in Playa del Carmen is to take the Rio Secreto plus Admission Ticket with Transport from Cancun or Riviera Maya Tour. Head to, what feels like the centre of the earth where geological rock formations will be your sky. Ride by bicycle along the trails of the reserve to Xibalba also known as the Mayan Underworld, a cavern with incredible rock formations making up its walls and roof with a pool crystal clear waters in the centre. If you are a photo junkie, head to Ek Balam, a wonderful tropical jungle where you will find the ÔKingdom of the Dead.Õ Next, venture to the Gulf Coast and watch the incredible pink flamingoes strutting in their natural habitat. But watch out, there may be a crocodile or two basking in the sun close by. Zoom through the air, like you just donÕt care, with the lush green jungle below and the wind in your hair. One exhilarating thing to do in Playa del Carmen is to enjoy an exciting zipline tour. Visit Extreme Adventure Eco Park and fly through the jungle along a circuit of 6 ziplines and 3 fun interactive bridges, which are sure to test your balancing skills. Next, head to Jungle Maya Park and rappel, if feeling courageous of course, 40 feet down into a natural pond for a refreshing swim. Zip along a series of ziplines before a hearty lunch prepared by traditional women. End the day on a high note by heading to Emotions Native Park. Jump on an All-Terrain vehicle and head out through the park, navigating the winding trails before arriving at the first zipline platform. Catch your breath by taking some time out in a natural sinkhole, revitalising the body with cool mineral-rich waters at the end of the second zipline. All tours are led by experienced guides, helmets are provided and a safety briefing is given before starting. Picture yourself swimming alongside one of the world most magnificent giants Ð the whale shark. Spending the day, snorkelling in the Gulf of Mexico, one of the best things to do in Playa del Carmen. Set off across the seas, for the adventure of a lifetime. As you draw close to the magical spot filled with calm whale sharks drifting through the waters, it is time to jump in and share the waters. Once you are ready and have enough courage, jump into the warm, tropical waters and swim toward these enormous creatures as they glide along, peacefully gobbling micro plankton. Swim alongside for a phenomenal life-changing experience. When you come out of the water you will have some time to relax on the pristine shores of Isla Mujeres with an exotic refreshing cocktail in hand or, swim in the crystal waters where you may spot a dolphin or two in this paradise on Earth. 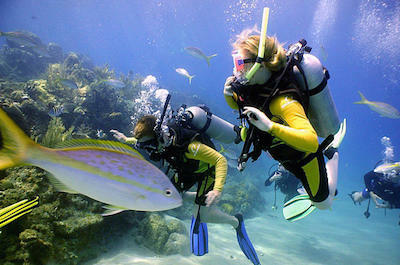 Whether you are a seasoned diver or a beginner, scuba diving is the next thing to do in Playa del Carmen. Whatever your level of skill, there is a perfect tour for you! For those testing the waters, take the PADI Discover Scuba Diving in Puerto Aventuras Tour where you will learn everything you need to know about this amazing sport. After you have mastered the techniques of scuba diving in the PADI pool, head out into the ocean where the real adventure begins. For more experienced divers, set off to HellÕs BellÕs for a dive of a life-time. 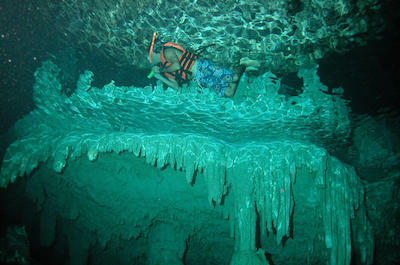 Dive into the water and explore the rock formations that resemble bells. Next, head to the cenotes through the Mayan jungle. These cenotes were deemed to be the entrance to the MayanÕs mythical world and it is not hard to believe why. Swim through stalactites, stalagmites in the massive caverns as the light bounces off the beautiful rock formations that surround you. What better ways to experience the tropical ocean than on a gorgeous sailboat. Grab your boat shoes and head out to sea, our next recommended thing to do in Playa del Carmen. Take the Sail Trip to Isla Mujeres from Playa del Carmen Tour and discover one of the most beautiful islands known to mankind. Set sail toward Isla Mujeres with the warm tropical sun against your skin. As you look into the crystal clear water, a school of dolphins appear for a little bit of fun leaping alongside you and dart off through the warm waters. 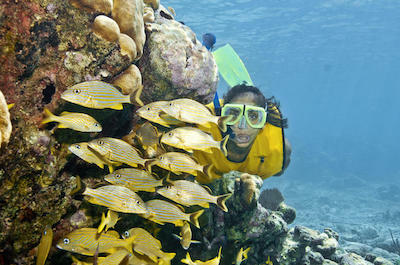 When you near land, jump into the water for a bit of snorkelling to explore the gorgeous reefs surrounding the island. Still have a bit of time? 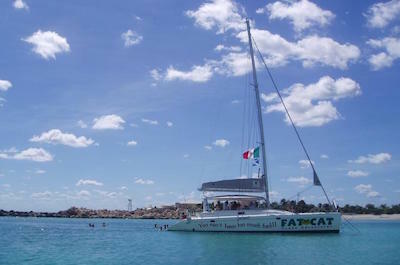 Take the Riviera Maya Catamaran Adventure Tour and enjoy me-time on a luxury catamaran. Snack on fresh fruit as turtles drift through the clear waters in the distance. Cool off with a refreshing swim and a Mojito to end your sailing adventure. The setting - the heart of the Riviera Maya jungle. The characters - a headstrong teenage girl and her alchemist grandfather. The story - well that is what you are about to find out! 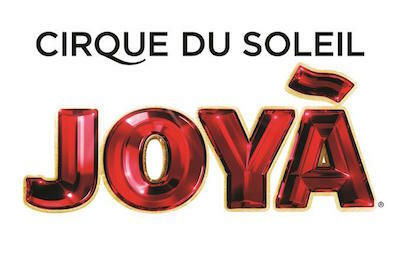 Experiencing the Cirque du Soleil Joya performance is one of the most riveting things to do in Playa del Carmen. As you take your seat in the custom-built theatre, with a capacity of 600 people, get ready for a journey of discovery. Be served with the first dish of your gourmet 3 course dinner and sip champagne as you submerge yourself in the surreal surroundings. Soft music gentle fills the air and the characters come to life. Learn about how Joya overcomes challenges that her grandfather has laid out for her aided by part-human, part-animal beings. As this incredible tale reveals itself, take in the wonderful colours that contrast against the jungle backdrop. After 75 minutes you will be thrown back into reality as the show ends and you set off to enjoy the rest of your evening with your mind still trying to grasp the wonders you have witnessed! Food, glorious food! 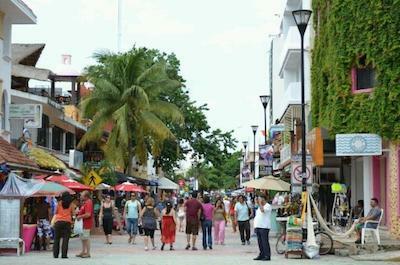 One thing to do in Playa del Carmen, that is a must, is to taste the tantalising local cuisine. Two delicious tours that you should definitely try are the Walking Food Tour in Downtown Playa del Carmen and the Mexican Street Food Crawl in Playa del Carmen Tour. Spend 3 hours walking through downtown Playa del Carmen, gobbling up not only the delicious food on offer but, of course, the ambience of the city. Make your way through 5 well-known local eateries, snacking on traditional cuisine, just make sure your tummy is empty. 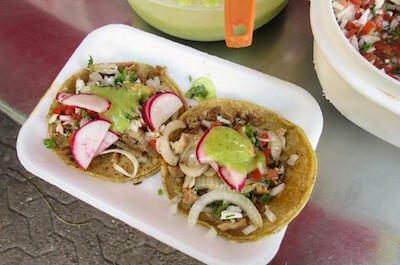 Or, head to the non-commercial side of town where your guide will show you the local gems serving exotic tacos, sticky pork dishes and tamales. If you are feeling adventurous why not try the crunchy grasshoppers, crisp maguey worms or escamoles, known to us as ant eggs. They are actually pretty tasty! Great for groups or a family, tequila for over 18's only! Getting the taste of Mexico through its delicious cuisine is an exciting thing to do in Playa del Carmen. 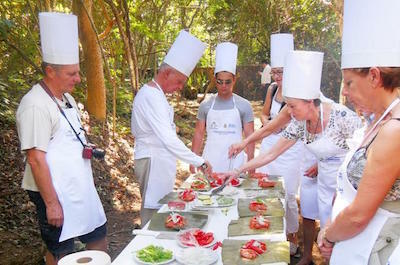 With the 7-Course Mexican Cooking Experience and Feast with Transport Tour, plus many of the other cooking tours on offer, your nose will be tingling and your mouth will be watering in no time! Get picked up from your hotel and whisked away to a beautiful terrace in the heart of the jungle for a tasty breakfast. Once satisfied, head to the kitchen for the three and a half hour cooking class. Grab an apron and get ready to prepare a delectable 7-course menu like a MasterChef! Cook up a storm, including traditional Mexican tortillas and then sit down for a true Mexican fiesta with like-minded cooks and your instructor! Dine on Mexican food complete with, you guessed it, tequila shots as traditional Mexican music fills the air. Not only will you learn to make traditional menus on these tours but will also learn how to use traditional cooking tools. Mexican living at its best. Party the night away, Mexican style! One thing to do in Playa del Carmen that is certainly a must for all those party animals out there is to experience the vibrant nightlife. Spend the night like a VIP and skip the lines to some of the hottest nightclubs in Playa del Carmen. Start at Palazzo, one of the most stylish nightclubs in town. As you walk in, be stunned by the amazing lights, dancers, Aztec performances and fire robots all accompanied by the latest hip hop beats. Be treated like a VIP with unlimited drinks at the bar and, of course, no waiting in line! Then, head to Mandala Nightclub where there is sure to be a themed party on that evening. With the amazing DJÕs spinning the decks and unlimited drinks at the bar you will find it difficult not to show off your most famous move on the dance floor. 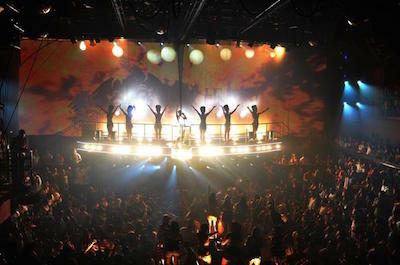 Finish the night and see the sun rise at Coco Bongo, the iconic, world famous night club in Quintana Roo. Giddy up, cowboy. 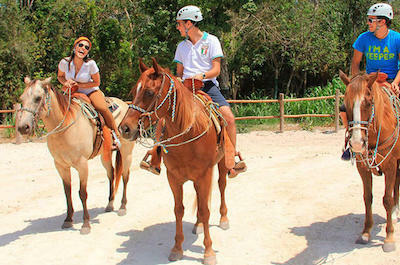 Saddling up and exploring on horseback is a fabulous relaxing thing to do in Playa del Carmen and there are many tours to choose from that will have you riding like a pro in no time. Take the Horseback Riding Tour with Cenote Visit and spend the day admiring the incredible jungle landscapes that will forever stay in your memory. After being collected at your hotel, you will be driven to Rancho Bonanza. As you pass through the gates, spot the horses grazing in their paddocks. Meet your guide who will introduce you to one of the wonderful horses picked out just for you. Climb into the saddle and set off through the Mayan jungle. Breathe in the clean, crisp jungle air as you pass lush vegetation and creatures peering out from the trees. 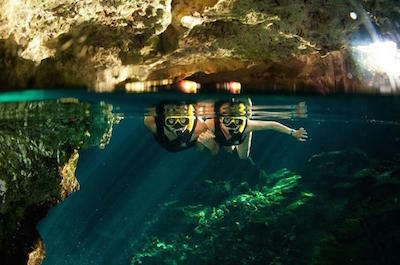 Visit the iconic cenotes, or sinkholes which are perfect for swimming in. Dive in and cool off before enjoying a refreshing drink and a snack while listening to great local Island anecdotes from your guide that will delight. Spend a glorious day on the ÒIsland of WomenÓ named after the Mayan goddess of childbirth and medicine. The true name of this intimate kilometer long island is Isla Mujeres and visiting it is certainly a great thing to do in Playa del Carmen. Famous for the most amazing snorkelling and scuba sites, Isla Mujeres is the perfect place to unwind and explore the incredible Cancun waters. Restaurants and shops line the shore, making this a great place for indulging in some retail therapy. 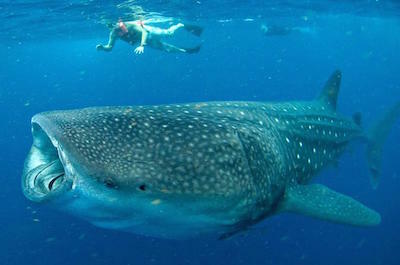 If you are feeling courageous why not join the Swim with Whale Sharks in Cancun: Small-Group Snorkelling Tour? Set off on a cruise ship to calm waters, where gentle whale sharks drift through the water, then, jump in. Swim alongside these incredible creatures for a once in a lifetime experience. Head back to shore and catch your breath, enjoying the sunshine while dolphins jump over the gentle waves in the distance. If you prefer to stay dry, relax on the deck of a luxury catamaran as you cruise the azure waters while sipping an exotic drink. Visit the most famous archaeological site of the Yucatan and the capital of the Mayan Empire, Chichen Itza, for historians, this is a wonderful thing to do in Playa del Carmen. Explore this ancient ruins, also deemed as one of the modern wonders of the world with various tours on offer. 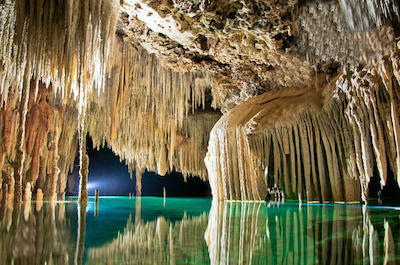 Discover the Sacred Cenote, where sacrifices, of the human kind, took place to appease the gods. This spine chilling ancient piece of history will certainly astound you. Take the Chichen Itza Ik Kil Cenote and Valladolid with Lunch Tour where you will have the opportunity to explore the Kukulkan pyramid, the temple of a thousand columns, known to the locals as the Temple of Warriors, the astronomical observatory and the sacrificial pit, that is now used to play an ancient Mayan ball game called Pok-ta-Pok. After you have explored until your heart is content, splash about in a natural sinkhole called Ik-Kil. End your idyllic day with a delicious lunch to satisfy any appetite. Perfect for the whole family as a bonding experience. 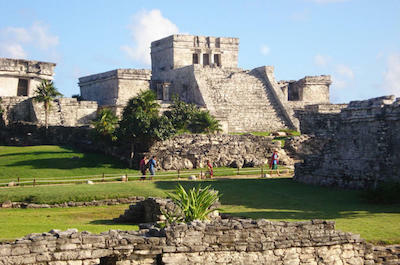 Visit one of the most well-preserved Mayan sites, a walled city mounted on the edge of a cliff above the Caribbean Sea. 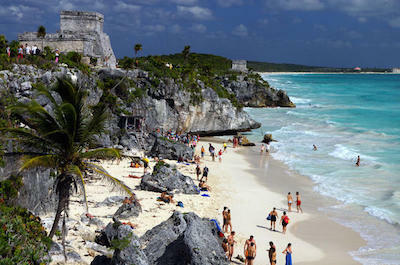 This spectacular piece of history is known as Tulum and was once home to nobles, high priests and important citizens. When visiting Tulum, a perfect thing to do in Playa del Carmen is to explore the main temple which was dedicated to the Diving God. 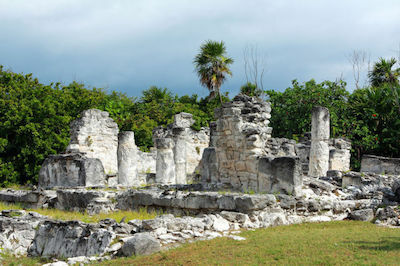 Take a guided tour of Tulum to learn the real history of this ancient place. Enjoy the Tulum Ruins with Optional Underground River Swim and Lunch from Cancun where you will have time to explore and learn about the interesting Mayan history. Spot remains of faint colours covering the fortress buildings that were once covered by beautiful paintings and carvings. Once you have explored every nook and cranny of Tulum, take some time out on the beach before heading to the Mayan jungle for a swim in crystal waters though tunnels and caves surrounded by breath-taking rock formations. An adventure that will be remembered for a lifetime. Water activities just up your street? Then visiting Xel-Ha is a great thing to do in Playa del Carmen. Xel-Ha is an enormous water theme park just South of Cancun complete with lagoons and underwater caves for swimming and snorkelling. There are so many activities on offer, we highly recommend a full day trip to Xel-Ha and luckily there are many on offer. Swim with friendly dolphins, kayak, cross floating bridges or take a daring leap off the Cliffs of Courage into the crystal clear waters below. With the Xel-Ha All-Inclusive Day Trip from Playa del Carmen Tour, you will have access to all the activities mentioned above plus a few more treasures. Stroll along the jungle paths breathing in the crisp air as iguanas peak out from behind giant leaves at you. Zipline though the air from tree to tree if walking is not your thing or simply relax at one of the restaurants with a delicious Caribbean Mojito. Head to Xcaret, Mexico's version of Disneyland, with one difference, it is set in paradise. Visiting this fantastic ecopark is one fabulous thing to do in Playa del Carmen. This natural attraction draws visitors from all across the island, particularly from the Riviera Maya region. With a river running right through the Mayan ruins that offers swimming, snorkelling, diving and dolphin encounters it is not difficult to see why this is such a popular spot. Spend some time exploring the park, passing the sea turtle nesting site and bat caves. Visit the island of the Jaguar and the Butterfly Pavilion where colourful butterflies flutter around you. Take the Xcaret Day Trip from Cancun Tour and experience all that the park has to offer before retiring to the beach for a little tanning session and of course, a cheeky cocktail to cool down. Then dive back into the water and snorkel amongst the colourful coral reefs filled with tropical fish. A perfect day outing that will delight the kids. Head to the Yucatan jungle and discover just what lies in the heart of the this incredible place. 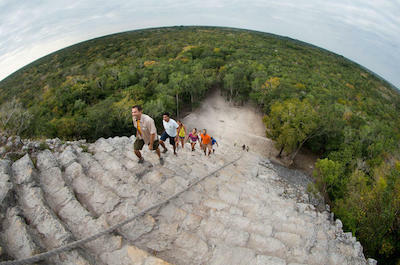 Join the Coba Ruins day trip, one of the most highly recommended things to do in Playa del Carmen. Rent a bicycle and ride along the rough terrain though the dense jungle, passing tropical vegetation and indigenous wildlife. As you draw close, goosebumps will surely appear on your skin when you come face to face with a group of dramatic ancient pyramids towering above you. These ancient, and we mean really old, pyramids are perfect for getting a true bird's eye view of the jungle. 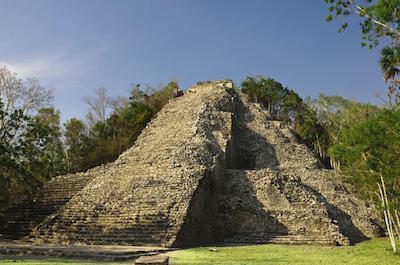 Climb the tallest of the pyramids, Nohoch Mul, or explore the observatory near by. A professional guide will teach you about the Mayan culture as you try to understand these massive structures covering 43 square miles. Combine the trip with a swim in a cenote, a ride on a mountain bike or explore on an exclusive early morning tour with a certified archaeological guide when there are no crowds. Can we tell you a secret? 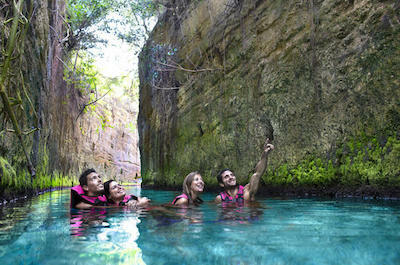 There is a secret river named Rio Secreto and visiting it is one of the most fabulous things to do in Playa del Carmen. This river has been carved through a series of underground caves by the flow of ancient underground water. Following the river will take you to an iconic enormous half-sunken cavern that is one of few accessible by non-professional divers. Explore these enchanting passageways that formed what the locals call, the Mayan underworld. As you meander along, take time to admire the stunning rock formations, natural caves and magnificent colored stalactites and stalagmites. You will feel truly blessed to experience this magical place. On these tours you will be led by a knowledgeable guide who will give you a lesson in Mayan culture and explain just how these caves were formed. If you want more fun things to do in Playa del Carmen, join the Plus Tour which takes you to previously inaccessible sections of the caves and also offers a spectacular light and sound show. Take a moment, meditate, and find your inner peace. Up for a little adventure? 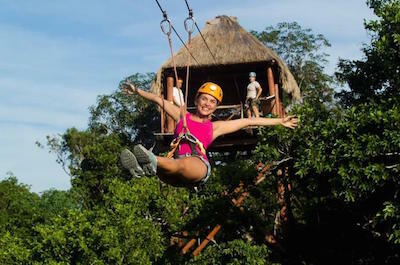 One great thing to do in Playa del Carmen is to take the Xplor Adventure Park from Cancun Tour and enjoy a thrilling experience of amusement rides created from the natural environment around it. Swim or raft through the underground caves and river rapids, shrieking with delight. Or grab an amphibious vehicle and venture into underground caverns and jungles. Next, breathe in deeply before flying through the air on a series of ziplines high above the tree canopy from platform to platform and bridge to bridge. After all this vigorous activity, you are sure to have worked up an appetite, so enjoy an international buffet lunch and refreshing drink. Then, end the day by chilling out on a gently swaying hammock in the sun, soaking up all that paradise has to offer or floating in the cool refreshing waters before being transported back to your hotel. Picture a giant bird cage underwater, in a series of underground caves. Now experience it. Visiting Nohoch Nah Chich and exploring the Giant Bird Cage is one of the most fantastic things to do in Playa del Carmen. Known as the most scenic and second largest underwater cave system on the planet, experienced divers flock from near and far to get a taste of this incredible underground world lined with white geological formations. Take the Cancun Cenote Tour: Snorkeling, Rappelling and Ziplining and enjoy a day filled with activities. Start at the Sac Actun cenote system, the largest underground river system, where you will explore the cavern of Nohoch Nah Chich filled with stalactites and stalagmites. This tour also includes activities such as a 40 feet rappel down to Yaxmuul, a natural crystal clear underground pool. It is a perfect thing to do in Playa del Carmen for a refreshing dip and a series of exhilarating ziplines that will have you zooming across the jungle canopy admiring the scenery of this tropical paradise. El Rey Ruins also known as the Las Ruinas del Rey comprises 47 structures that were believed to be inhabited by the Mayans in 900 AD. This archaeological site has two platforms and temples which are said to be the remains of religious ceremonial buildings and market areas. Named after the ceremonial mask and skull on site to honour the Mayan Sun God, El Rey, hundreds of iguanas call this ancient site home as it is perfect for the sunbathing that they enjoy. 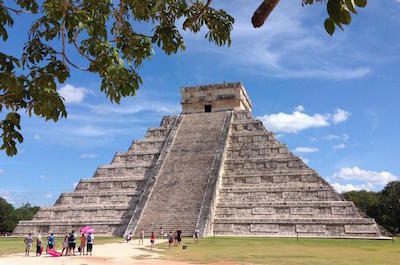 Take the Cancun Day Trip: Museo Maya and El Rey Ruins Tour, a fascinating thing to do in Playa del Carmen. Once you have visited the El Rey Ruins, you will continue on to the Culture Museum in the Yucatan Peninsula where iconic archaeological collections are housed. You will also have the opportunity to explore the archaeological site of San Miguelito. End the day at the Plaza Forum by The Sea, browsing the quaint shops for trinkets to take home for friends and family. A large hole in the middle of the jungle surrounded by lush greenery and filled with crystal clear water is the stuff dreams are made of and this is exactly what Cenote Ik Kil is. Visiting this magnificent sinkhole, known in English as the Sacred Blue Cenote is the next recommended thing to do in Playa del Carmen. One unique thing about Cenote Ik Kil is that it is not covered by earth like usual cenotes but instead opens up to the sky making this the perfect swimming spot. Sunlight glistens on the water, turning it turquoise and warming the waterÕs surface as native birds softly sing melodies in the distance. Massive lush green vines grow downwards, over the edge of the sinkhole reaching toward the water, causing a surreal waterfall effect. Easily step down the custom built stairs for the perfect exotic swim. For a full day of cool things to do in Playa del Carmen, take the Chichen Itza Ik Kil Cenote and Coba from Playa del Carmen Tour to experience the surrounding regions of Riviera Maya. One amazing thing to do in Playa del Carmen is to swim underground in the dreamy blue waters of Cenote Chaak Tun. These ancient caves were lived in by Mayan centuries ago and are now here for pure enjoyment on your holiday. After being collected from your hotel head to the entrance of the Chaak Tun Cenote, where you will be given equipment and lighting before your adventure begins. Head below ground to the pool that fills the first cavern. Dip your toes in and then leap into the refreshing waters, perfectly clear to the eye, so you can see the amazing surrounding rock formations of stalactites and stalagmites created centuries ago. Light dances against the walls of the caverns as shafts of sunlight streams in through the cracks and openings in the ceiling. Remember your camera, waterproof of course, because you will not want to miss the great picture opportunities to take home to show awe-struck friends. Lovers of archaeology will be delighted with our next fabulous thing to do in Playa del Carmen, a visit to one of the largest ruins in Mexico, Ek Balam. Follow your local friendly guide who will feed you fascinating titbits of information that only the locals know. Dating back to 100 BC the ruins stand tall and are very well preserved. As a less crowded option to Chichen Itza, this gives you the chance to really explore the ruins and reflect on what the Mayan culture was truly like back in the day. 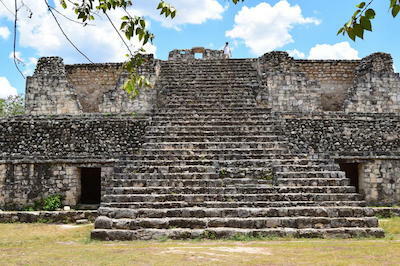 The main part of Ek Balam is the extremely tall Acropolis temple that was used by the inhabitants of the Mayan village. Climb to the highest point of the temple for an incredible view of the jungle, but watch out, there is a large monster watching you from the entrance to the pyramid that is said to guard the underworld. For a full day of exploration take the Ek Balan Tour including Cenote Maya Visit from Cancun, you certainly will not be disappointed with this popular thing to do in Playa del Carmen. When you are looking for shopping, dining and entertainment all in one place then the only thing to do in Playa del Carmen is to take a trip to Quinta Avenida also known as Fifth Avenue. Located in the heart of downtown, Quinta Avenida runs parallel to the ocean and boasts a tremendous amount of opportunities for fun. While you are strolling down this pedestrian friendly street you will find plenty of high-end stores such as an H&M, Victoria’s Secret, Guess, Tommy Hilfiger and Nike as well as Adidas. You will be pleased with the small Mexican arts and crafts boutiques as well as art galleries and jewelry stores. Quinta Avenida is home to some of the best restaurants in Playa del Carmen and there is a wide variety of cuisine from Italian to Mexican to fresh seafood to Argentinian. In the evening Quinta Avenida boasts several outstanding places that offer live music and you can find incredible nightclubs down one of the side streets. There is never a dull moment on Quinta Avenida with street performers that range from fire dancers to traditional Maya dancers swaying to music on the street. If you want to have a unique experience as well as view incredible art work then the best thing to do in Playa del Carmen is to take a trip to the 3D Museum of Wonders. Located along 10th Avenida Norte in downtown Playa del Carmen, the 3D Museum of Wonders is a fabulous adventure into the world of 3D drawings which make you feel like you are part of the artwork. The museum mixes beautiful artwork in an unusual format that creates an almost illusionary state of mind within your brain. The 3D Museum of Wonders contains around 60 pieces astonishing artwork that range from jungle scenes to waterfalls to surfing a wave to splashing in a pool. The 3D drawings are surreal and seem to project from the wall while engulfing you in the actual painting. 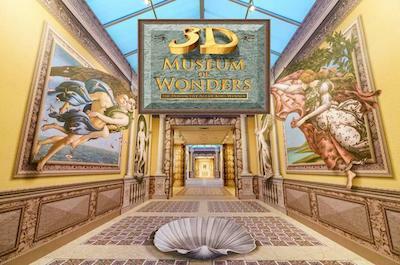 The 3D Museum of Wonders is an ideal indoor activity when you want to get the family out of the sun for a while. The museum was created by Keith Wenner who has been commissioned by the Vatican and was a graphic artist at NASA in the past. 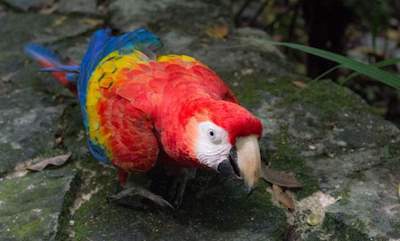 If you like watching birds in their own natural habitat then an ideal thing to do in Playa del Carmen is for you to plan a trip to the Xaman Ha Aviary. Located in Phase 2 of Playacar, the Xaman Ha Aviary is an open air aviary which showcases a natural habit and native birds of the Yucatan Peninsula. The aviary is a great place to take photos and learn about the environment of Quintana Roo before all the development started to take place in the area. There are a total of 200 birds from 60 different species within Xaman Ha Aviary which you can take photographs while enjoying a leisurely stroll through a jungle landscape. You will travel along concrete and cobblestone pathways as you watch spectacular birds such as pink flamingos, keel billed toucans, scarlet macaws, ducks as well as blue crowned parrots in their native habitat. 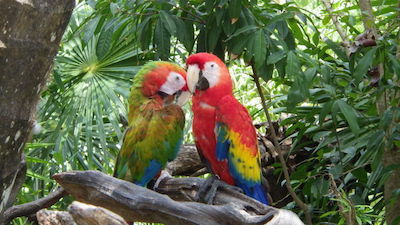 Also within the Xaman Ha Aviary you will notice other animal species such as butterflies, squirrels, turtles and iguanas. The aviary is the perfect place for you to experience nature without having to drive to a faraway location. When you want to watch Mexican culture exhibits, an old Catholic Church and some beautiful sculptures then an ideal thing to do in Playa del Carmen is to stop by Parque los Fundadores also known as the Founding Fathers Park. Located on the corner of La Quinta Avenida (5th Avenue) and Benito Juarez, Parque los Fundadores is a fascinating mix of fun, culture and entertainment. When you arrive at the park probably the first thing you will notice is the Portal Maya Statue which is 52-feet in height and is a celebration of the Maya calendar which ended on December 21, 2012. While at Parque los Fundadores you can watch a stunning performance called Voladores de Papantla which features five individuals climbing a 98-foot pole and then suspending themselves by their feet with a rope as they spiral downward around the pole while another individual plays a flute and drum on top. You can walk through the beautiful Nuestra Senora del Carmen Catholic Church that has floor to ceiling windows behind the altar. Parque los Fundadores has a great playground for children as well as plenty of benches for you to relax and enjoy the activities. When you are searching for a wonderful beach which includes a small cenote that is an ideal place for families to swim then the perfect thing to do in Playa del Carmen is to visit Playa Punta Esmeralda. Located in the northern beach section of Playa del Carmen where Colonia Colosio ends, Playa Punta Esmeralda has a great stretch of white sand that is connected to small cenote which provides excellent swimming opportunities for children. Playa Punta Esmeralda boasts several palm trees for shade that offers a perfect picnic area for beach goers. The water offshore is great for kayakers, standup paddleboarders, kite surfers and windsurfers as well as for swimming. This beach is a favorite with locals in the area and you can expect large crowds of local families on the weekend. There are no facilities at Playa Punta Esmeralda such as a beach club so come prepared for the day. There are life guards on duty most days throughout the year. If you are seeking a gorgeous white sand beach that is away from the crowds then an ideal thing to do in Playa del Carmen is to take a trip to La Playa Xpu Ha. Located between Puerto Adventuras and Akumal just 20-minutes south of Playa del Carmen, La Playa Xpu Ha has an excellent stretch of white sand beach that is perfect for all types of beach goers including families. The beach area does not have much development which makes for a peaceful day without a lot of crowds. Las Playa Xpu Ha has plenty of space to lounge on the powdery sand with excellent swimming and snorkeling opportunities. La Playa Xpu Ha is a favorite with kite boarders, windsurfers, kayakers as well as standup paddleboarders. Marine life in the area consists of hundreds of tropical fish and several seat turtles which you can view in their natural habitat. There are plenty of services at La Playa Xpu Ha which include watersport equipment rentals, beach chairs and umbrellas. You can also enjoy a small beach club onsite with palapas which serves food as well as cold libations and has live music in the afternoon Thursday thru Sunday. When you are staying within Playacar and looking to get away from the pool or beach for a little shopping then a superb thing to do in Playa del Carmen is to go to Plaza Playacar. Located within the Playacar area, Plaza Playacar is a great place to do a little souvenir shopping without the crowds along La Quinta Avenida. You will find an assortment of services within the plaza area that range from silver from Taxco to authentic Mayan clothing to quaint little souvenir shops where you will find unique Mexican arts and crafts. Other services available are spa treatments, scuba diving shops, swimwear, currency exchange, a convenience store, tour booths to help you decide on what exciting adventure in the region you would enjoy, hair braiding and there is a Starbucks to help re-energize your sun soaked body. Plaza Playacar is the perfect place for you to pick-up that special memory of the Riviera Maya whether it is a t-shirt or a guided tour of Coba. When you are ready to experience an adrenaline rush of a lifetime then the perfect thing to do in Playa del Carmen is to visit Skydive Playa. Everyone is welcome Skydive Playa from professionals to novices who want to make their first leap into the sky. Skydiving is one of the best ways to gain a bird’s eye perspective of the beautiful jungle landscape and Caribbean Sea below as you glide through the sky with the greatest of ease. Skydive Playa boasts a unique experience with tandem jumps that will take you through a 20-minute training session with a licensed professional jumpmaster before you step out of the airplane at 10,000 feet. You will be thrilled as you free fall for 40-seconds at speeds of up to 120 miles per hour before your jumpmaster activates your parachute. Once your chute is activated you will glide through the sky taking in all the gorgeous sights below you. When you touch down you will be left with an once-in-a-life-time adrenaline and sight experience.